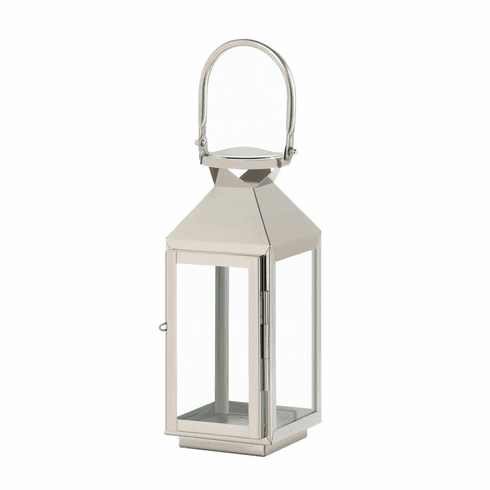 This lantern may be small, but it's mighty stylish! It features a high-polish silver finish, sleek design, and oversized loop on top. Simply open the hinged door and place the candle of your choice inside. Weight 1.4 pounds. 4" x 4.25" x 10". Stainless Steel, Glass. UPC Number: 849179034443.